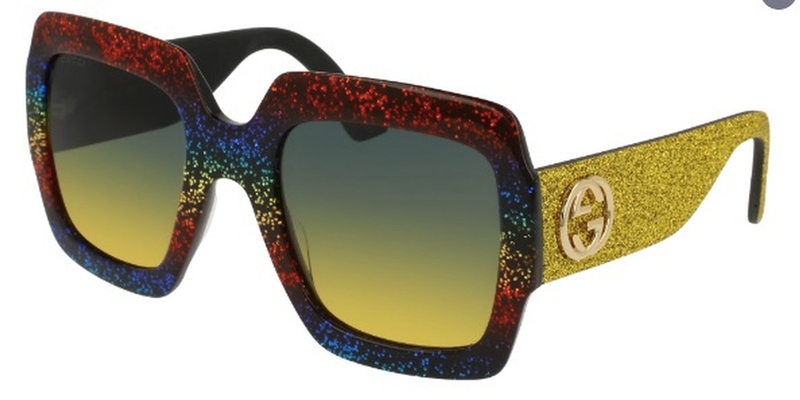 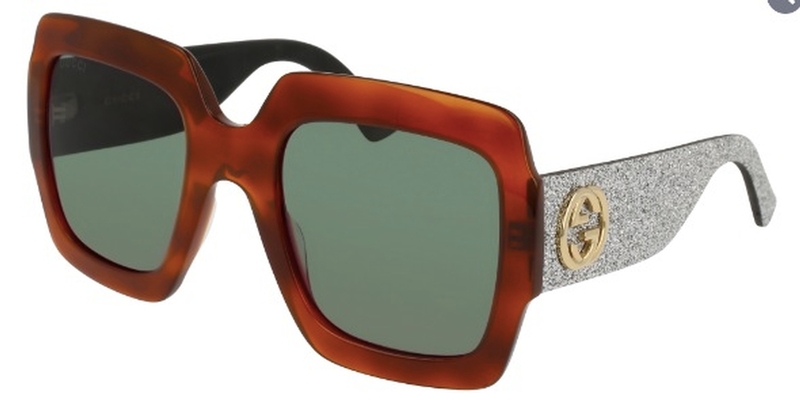 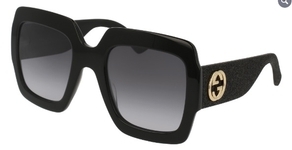 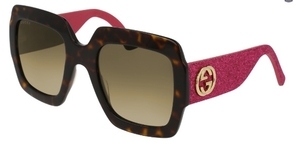 Gucci GG102S sunglasses show the iconic big squared shape with a «retrò» feeling, inspired by last runways. 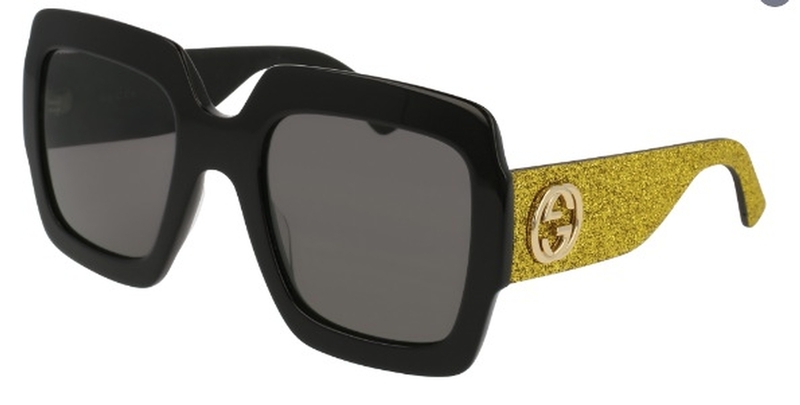 Style enriched by exclusive rubber temples, characterized by glitter color treatment to further enhance the trendy DNA of the brand. Big GG iconic logo on temple as essential signature. Wide color palette with some Variations enriched by glitter rainbow effect on front.